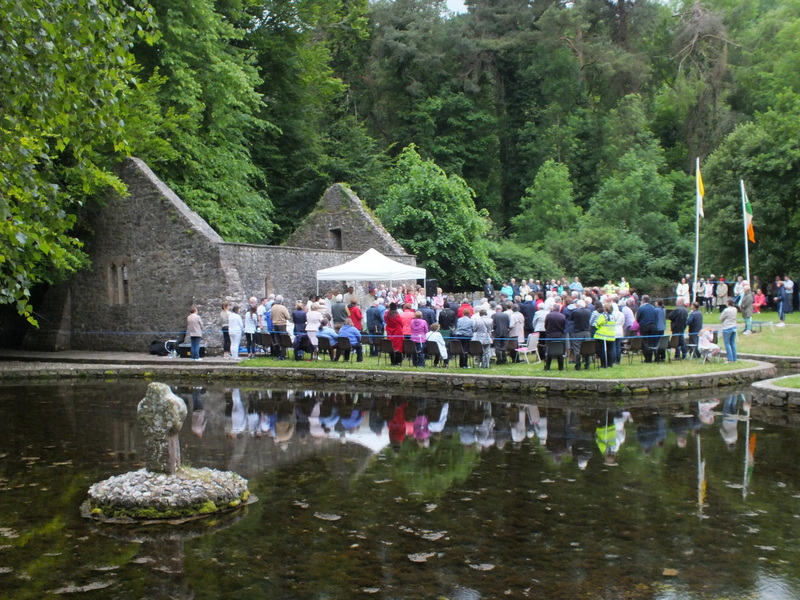 Last week on the 25th of June I attended an event at St Patrick’s holy well at Marlfield Clonmel. This is one of my favour holy wells and it has a rich history which I have discussed in a previous post. 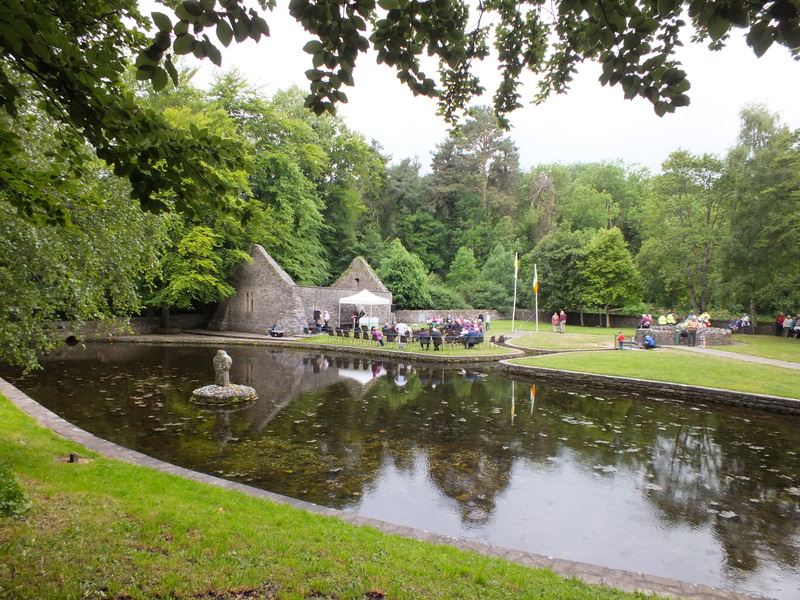 The well is visited throughout the year but each Summer the people from the village of Marfield and surrounding parishes in Clonmel town, come to the well for an annual gathering that takes the form of a mass. 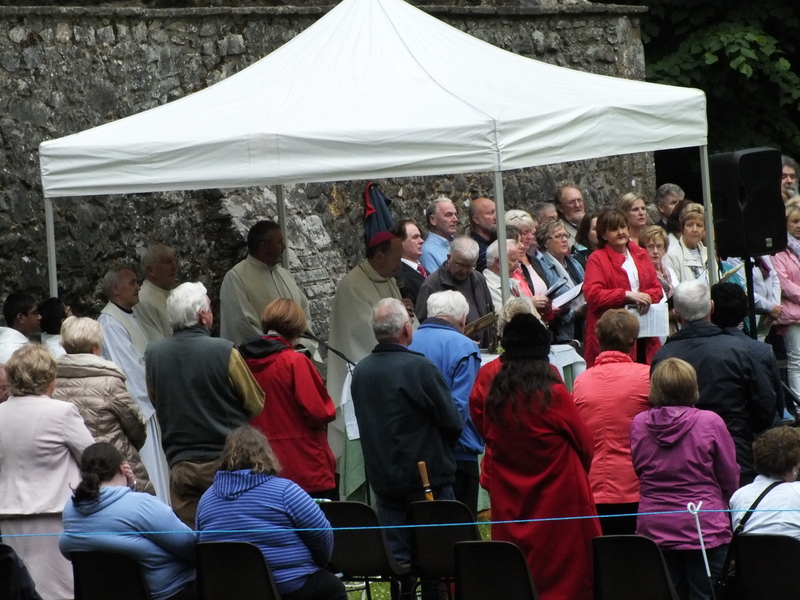 This year the mass was held at 8pm and a large crowds attended. 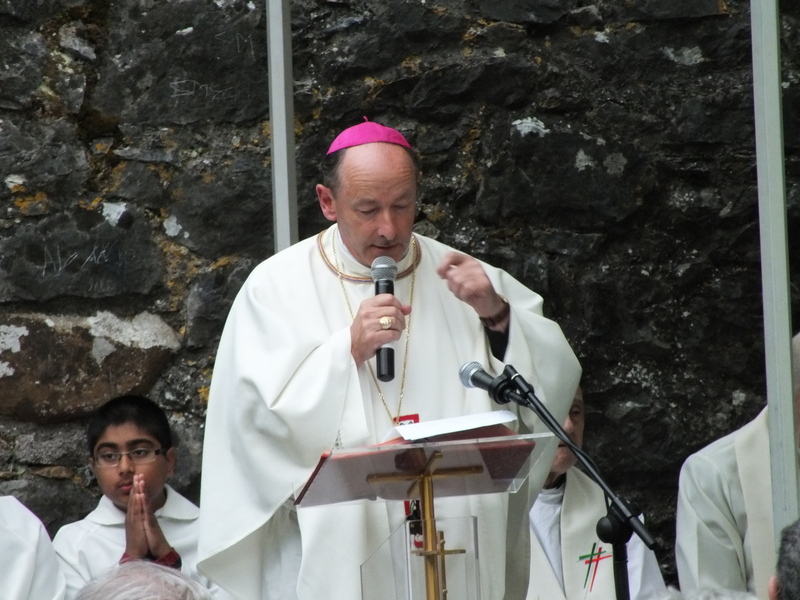 Mass was celebrated by Bishop Cullinan, the new Bishop of the Diocese of Waterford and Lismore. Bishop Cullinan the new Bishop of the Diocese of Waterford and Lismore. People gathered in front of the old medieval church others sat around the holy well and the boundary walls. The waters of the well were bubbling forth in the background , birds singing. Despite the crowds the site was very peaceful. People standing around the well during mass. The large crowds emphasized the size of the area around the well which really is quiet vast. There was a real festive feeling with lots of singing and live music. I look forward to returning to the well later in the summer . 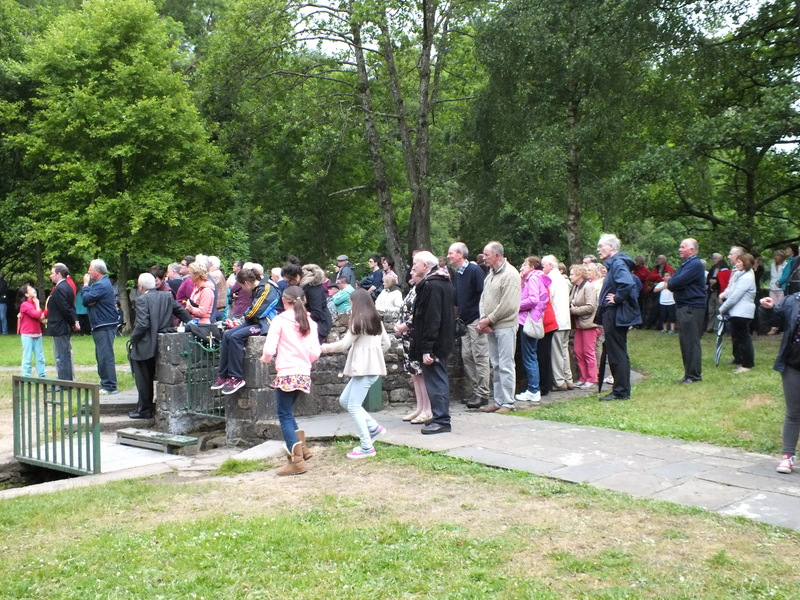 This entry was posted in Holy Well, Modern Pilgrimage, Uncategorized and tagged Marlfield Clonmel, Mass St Patricks holy well, Pilgrimage at St Patrick's holy well. You’ve really captured the atmosphere. What a special place.